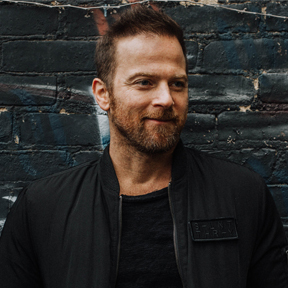 Kip Moore’s current Top 20 single “Last Shot” is the second taken from his revered third studio album SLOWHEART and follows his fourth No. One hit “More Girls Like You.” “SLOWHEART,” garnered instant praise from critics as Moore’s “most complete, cohesive declaration of his artistic sensibilities yet” (NPR,) as well landing on multiple “Best Of” lists including Entertainment Weekly, Rolling Stone, UpRoxx, Bobby Bones Show, Taste Of Country, Sounds Like Nashville, The Boot, PopMatters and Whiskey Riff. SLOWHEART follows the acclaim that surrounded Moore’s sophomore album WILD ONES heralded as “an impressively singular release from Music Row” by The Guardian and his PLATINUM debut album UP ALL NIGHT that spawned three No. One hit singles, including GOLD certified “Beer Money,” PLATINUM certified “Hey Pretty Girl,” and the DOUBLE PLATINUM breakout hit “Somethin’ ‘Bout A Truck. For more information, visit kipmoore.net.